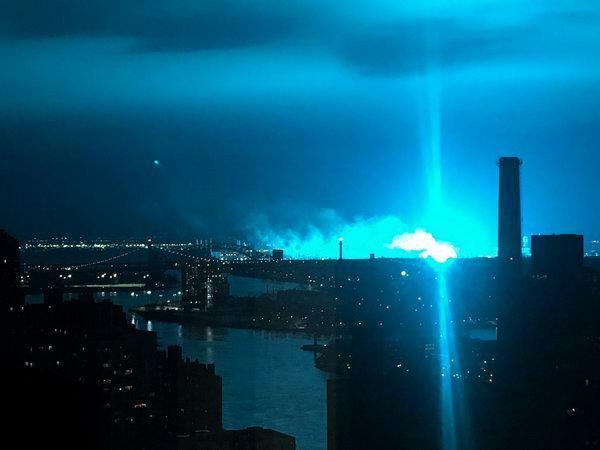 NEW YORK – A transformer exploded tonight, 27th December and this flashes a bright blue/green light in the sky. It seemed an apocalyptic scenario, but it was a part of a brief electrical fire after a couple of transformers of one of Edison’s plants tripped offline at the intersection of 20th Avenue and 32nd Street in Astoria. LaGuardia Airport temporarily shuttered because of it. 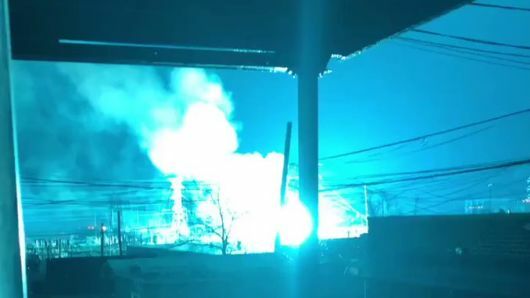 Before people could think about something abnormal, the NYPD tweeted an advisory, saying that the lights people have seen throughout the city appeared to have been from a transformer explosion at a Con Ed facility in Queens, and also that the fire is under control. The issue caused a transmission dip in the area, and Con Edison crews responded with the Fire Department of New York. The New York Fire Department managed to control the rest of the explosion and declared that no one has reported being injured or dead. Policemen starring outside the plant. The explosion was determined to be a non-suspicious equipment malfunction, according to a tweet from the NYPD 114th Precinct. The New York Governor Andrew Cuomo said that there are no significant reported power outages anymore. On Twitter, also the NYPD confirmed that the incident in Astoria was the result of a transformer explosion. No injuries, no fire, no evidence of extraterrestrial activity. 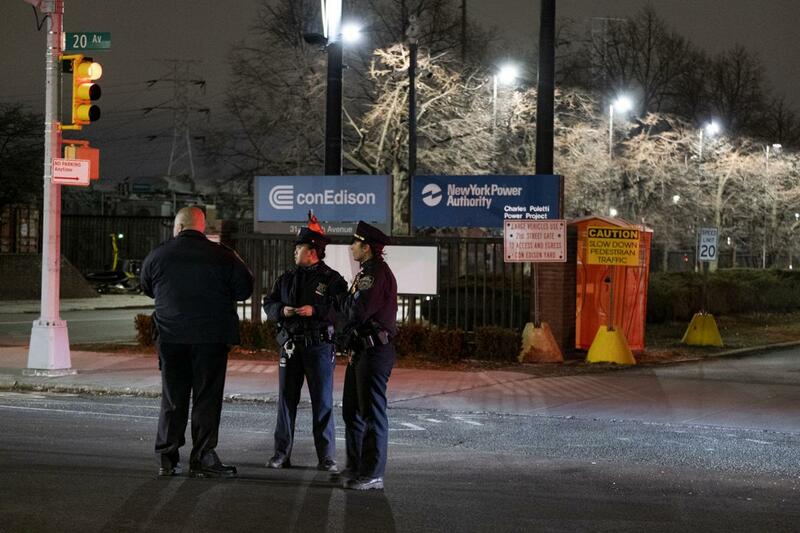 And Con Edison added that there was a brief electrical fire at our substation in Astoria which involved some electrical transformers and caused a transmission dip in the area. Investigations on the origins of the explosion are in development.